Monday, February 9, 2015 ratings — New episodes: The Originals, Jane the Virgin, Gotham, Sleepy Hollow, The Bachelor, Castle, 2 Broke Girls, Mike & Molly, Scorpion, NCIS: Los Angeles, State of Affairs, and The Celebrity Apprentice. Reruns: (none). Everything good is on the same time and same night. I am not sure how they figure out their ratings, but most of us DVR the programs to watch later. I do! Sleepy Hollow, Gotham, State of Affairs, Scorpion, Castle for me. Then I get to watch them while fast forwarding thru the commercials! So we are watching! Keep our favorites on! Castle was excellent last night why doesn’t ABC promote the show more? 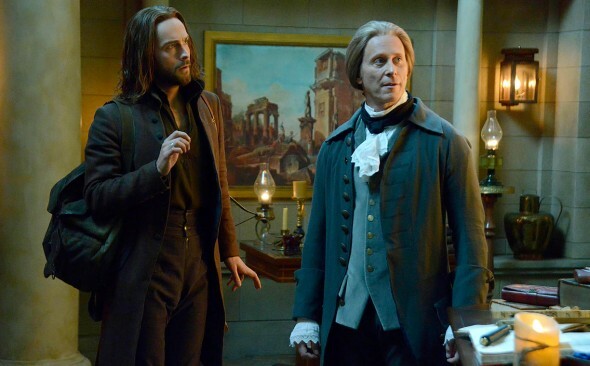 We will be very upset if Sleepy Hollow is cancelled. It’s refreshing to see a show without constant sexual innuendo or people acting like total asses as on most reality shows. Tell the writers to start using their imaginations and start a refresher course in history. There are many directions to go with this show. Why change anything on this serie. It’s so good as it now is. I’m not very satisfied with to many series already ontaining to much seks in iit. Keep it clean or pay an paychannel, tha’s where to many series already belong. That stuff is already to much on regular channels. what happened to sleepy hollow? it did so well last year. everything fox does in the second year it goes down? any thoughts?